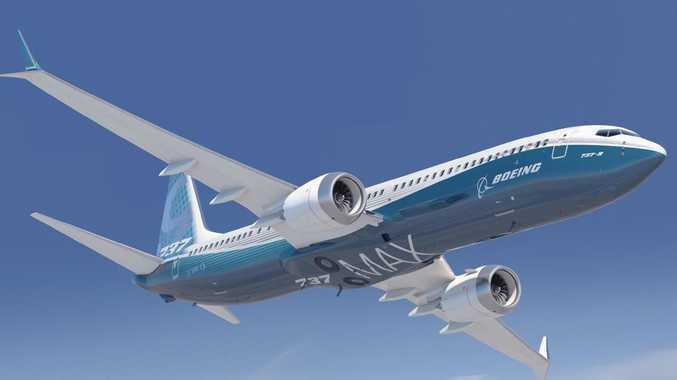 New Boeing 737 MAX 8 single-aisle aircraft, that is expected to deliver a 13 per cent increase in fuel efficiency. When it was unveiled in 2017, the new Boeing 737 MAX 8 was touted as the "most reliable aircraft" in the world, promising to change the way we fly. Technologically advanced, cheaper to run and offering the latest in passenger comfort, the fleet was spruiked as a fuel-efficient upgrade on previous models and, according to Boeing, was the fastest-selling plane in its history with thousands of orders placed by airlines around the world - including Australia. But within just six months, the glitzy new 737's have been involved in two catastrophic incidents, with two MAX 8 models faltering just minutes after takeoff and plunging into a deadly descent. On Sunday, Ethiopian Airlines confirmed there were no survivors of flight ET 302 - a MAX 8 aircraft - carrying 157 people, including eight crew, on board. The horror crash occurred just six minutes after taking off from Ethiopia's capital, Addis Ababa bound for Nairobi in Kenya. 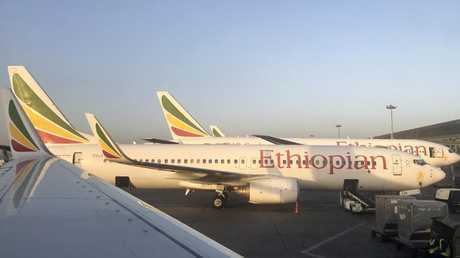 According to the airline's CEO Tewolde GebreMariam, the pilot of the doomed flight, who had clocked 8000 hours in the air, reported difficulties just minutes in to the journey and asked to turn back to the Ethiopian capital of Addis Ababa. Ethiopian Airlines confirmed there were no survivors of Flight ET302 — a Boeing 737-8 aircraft — which was carrying 157 people. Picture: AP Photo/Ben Curtis. Data shows the flight left the city about 8.38am local time and climbed to 2600m. However, just six minutes later, takeoff contact with the aircraft was lost. The crash follows a horror six months for Boeing, after another MAX 8 went down just 13 minutes after takeoff from Jakarta, Indonesia, killing all 189 people on board in October 2018. "It's highly suspicious," Mary Schiavo, an aviation analyst and the former inspector general of the US Transportation Department, told CNN. "Here we have a brand-new aircraft that's gone down twice in a year. That rings alarm bells in the aviation industry because that just doesn't happen." Speaking to news.com.au, aviation expert Neil Hansford said he had great concerns about the aircraft model, and that this latest incident spells big problems for Boeing. "I wouldn't fly on these planes," he said after the Ethiopian Airlines crash. "Boeing have delivered around 350 MAX 8's from more than 4000 on order." 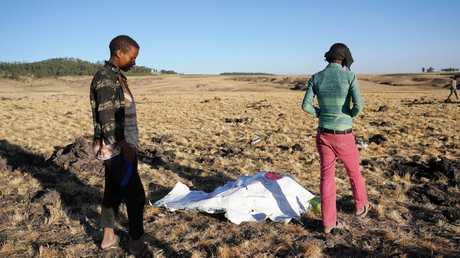 Local residents look at debris at the scene where Ethiopian Airlines Flight 302 crashed in a wheat field just outside the town of Bishoftu. Picture: Jemal Countess/Getty Images. Mr Hansford said while the investigation into both cases was continuing, both incdents are strikingly similar and he has questions over the education and training around Boeing's updated software that was meant to prevent a stall. The 737 MAX was developed as a response to the Airbus A320 Neo, a new fuel efficient version of the A320 which is the 737's big rival. Boeing designed the 737 MAX to be so similar to the usual 737s that pilots wouldn't need to do any costly extra training to learn how to fly it. But aviation experts and pilots say their biggest concern with the new Boeing aircrafts is around a feature known as the Manoeuvring Characteristics Augmentation System or the "automated anti-stall system" - a new characteristic on the MAX 8 jets. The MCAS system relies on a gadget on the outside of the plane measuring how high the nose is. Too high and it brings the nose down. But the worry is this gadget is malfunctioning and its bringing the nose down for no good reason. It can mean the plane starts heading for the ground. "This is the first time Boeing has put in the MCAS that kicks in when a plane is climbing too quickly and could stall the aircraft," he explained of the new software. "This system stops that stall, but is not supposed to kick in when the aircraft is flown manually by the pilot. It only kicks in during autopilot mode." According to some pilots' unions, the change in the flight control system - which can override manual motions in the MAX model, was not explained to pilots flying the new models - reports the New York Times. 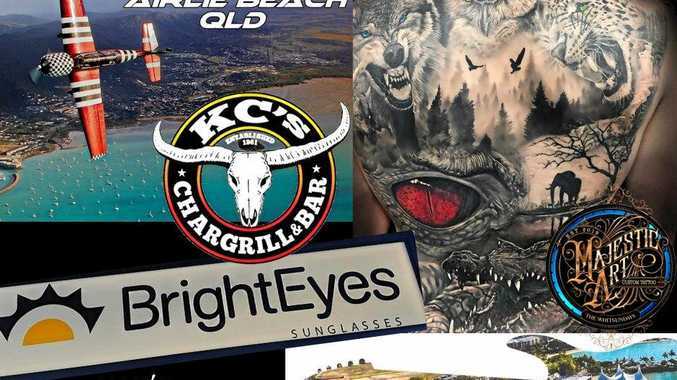 Officials and analysts said it was too early to tell if there was any direct connection between the two incidents, but Mr Hansford agrees with pilot bodies and believes the problem lies within the training. "When you do conversion training from one model of aircraft to another, how to correct the MCAS should've been in the manual," Mr Hansford said. "The only reason to put this software system in the plane is because of the bigger engines (that had to be placed in a different area of the wings), which can cause the aircraft to stall. "The new MAX aircraft have been stretched to have over 200 seats. This means the engines go further back causing propensity to stall. "The training manuals were modified after the Lion Air incident, because at the time the only time MCAS was mentioned was in the definition section. Nowhere else in the original manual were there details on what the MCAS does, bad indications and how to turn it off were included. "The new manual procedures encompass how to handle the system, Ethiopian Airlines is a tidy airline, so I'd be surprised if they hadn't circulated it to their pilots." Within days of the Lion Air crash, Boeing issued an operations bulletin to airlines which would be passed on to pilots flying the Max models. The US aviation regulator then issued an "emergency" airworthiness directive to US carriers about this sensor. The Federal Aviation Authority said the sensor "could cause the flight crew to have difficulty controlling the aeroplane, and lead to excessive nose-down attitude, significant altitude loss, and possible impact with terrain". CNN Aviation analyst Mary Schiavo said all eyes will be on whether Ethiopian Airlines implemented the new training manual following the Lion Air crash in October 2018. "First and foremost you want to look to see if the airline implemented the air worthiness directive that the United States and other aviation nations of the world implemented after Lion Air requiring additional instruction of pilots when something went wrong," she said. "So first and foremost, the investigators will want to know if the airline did what Boeing asked them to do." Lion Air's Boeing 737 MAX 8, along with the Ethiopian aircraft, were both just a few months old before crashing from the sky, raising concerns there could be an issue with the aircraft. In both cases, the brand-new planes faltered minutes after takeoff and plunged into a deadly descent, leaving no survivors. Boeing is already facing a string of legal cases in the United States over the Lion Air crash, including five cases in US federal court in Illinois where Boeing has its Chicago headquarters. Ms Schiavo said Boeing will have big questions to answer as the investigation into their most recent crash continues. "If this is the second one in six months - the old saying goes, the first time it happens it's the pilot's fault, the second time it happens it's the plane's fault," she said. "Boeing's got a problem, I think." The latest generation of the Boeing 737 features an engine that "affects the balance of the plane" due to its longer frame to accommodate 200 seats. In an interview with the BBC, Jakarta-based aviation analyst Gerry Soejatman said the 737 MAX's "engine is a bit further forward and a bit higher in relation to the wing, compared to the previous version of the plane". According to the BBC and The Seattle Times, pilots from around the world have raised concerns over the possible flaw in Boeing's flight control system introduced for the 737 MAX jets. According to The Seattle Times aerospace reporter Dominic Gates, "flight control experts say the new system kicking in would have changed the feel of the plane's control yoke from what the pilots had experienced training on simulators, possibly sowing confusion aboard Flight JT610", with the MAX flight control system becoming the subject of controversy. The problem is with the nose of these new aircraft, which can be "automatically and repeatedly pushed down due to one false signal". "If an erroneously high single angle of attack (AOA) sensor input is received by the flight control system, there is a potential for repeated nose-down trim commands" FAA said, citing that will swivel the plane's horizontal tail to pitch the nose downward. According to Boeing's Bulletin and published by Bloomberg, while modern jetliners primarily operate on autopilot, the computerised system can disengage when airspeed indicators malfunction, forcing pilots to manually fly the aircraft. If there is an "uncommanded nose-down stabiliser trim" on the Max, pilots can counteract it by pushing a switch on their control yoke. But the plane's computers will resume trying to dive as soon as they release the switch. Pilots are supposed to memorise a procedure to disengage the angle-of-attack inputs to the plane's computer system. The angle-of-attack sensor is intended to measure the angle between air flow and a reference line on the wings so that they maintain lift. If the flow is disrupted by a plane going too slow or climbing too steeply, that can cause an aerodynamic stall and a plane will plummet. However, if the sensor malfunctions, it can cause the plane's computers to erroneously think it is in a stall - which can then command the aircraft to dive abruptly. 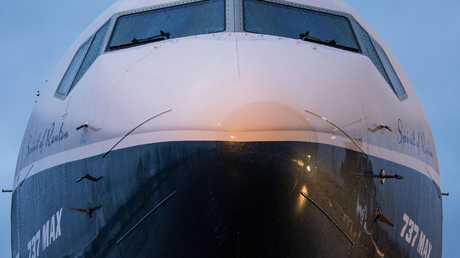 The nose of the Boeing 737 MAX aeroplane. Picture: David Ryder/Bloomberg. The Wall Street Journal reported there were concerns about the automated stall-prevention system on the American jet maker's MAX 8 and MAX 9 models, which was designed to stop flight crew mistakenly raising the nose of the plane dangerously high. But following the horrific Lion Air crash, Boeing warned airlines of a potential fault in the new feature, which, under "unusual conditions, can push (the plane's nose) down unexpectedly and so strongly that flight crews can't pull it back up". That could result in a "steep dive or crash - even if pilots are manually flying the jetliner and don't expect flight-control computers to kick in," the report said. Southwest is in contact with Boeing and "remains confident in the safety and airworthiness of its fleet of more than 750 Boeing aircraft," spokesman Chris Mainz said in a statement. Virgin Australia has confirmed they have an order for 30 737 MAX 8 planes in place, expected to arrive later this year. A spokesman told news.com.au it was too early to comment on whether the Ethiopian Airlines crash would impact the order. In the United States, American Airlines, Southwest Airlines and United Airlines are all operators, using it on routes like Miami-New York and Dallas-Chicago. Other major carriers in Canada and Mexico - as well as roughly two dozen airlines across Europe, South America, Asia and Africa (including Icelandair, Aerolíneas Argentinas, LOT Polish Airlines and Air China). According to CBS, Boeing introduced the 737 MAX 8 in May 2017, the company has delivered roughly 350 planes worldwide, with more than 5000 orders placed for the latest generation of 737s. As of December 31, American Airlines had 24 of the planes in its fleet, and Southwest Airlines had 31 aircraft in service with more than 200 on order. United Airlines' fleet includes 14 MAX 9 planes, a larger version of the MAX 8. The price per plane ranges from $US99.7-129 million (€89-117 million), though discounts are usually given to clients for large orders. Its main competitor is the Airbus A320, which is also designed for short and medium-haul flights.